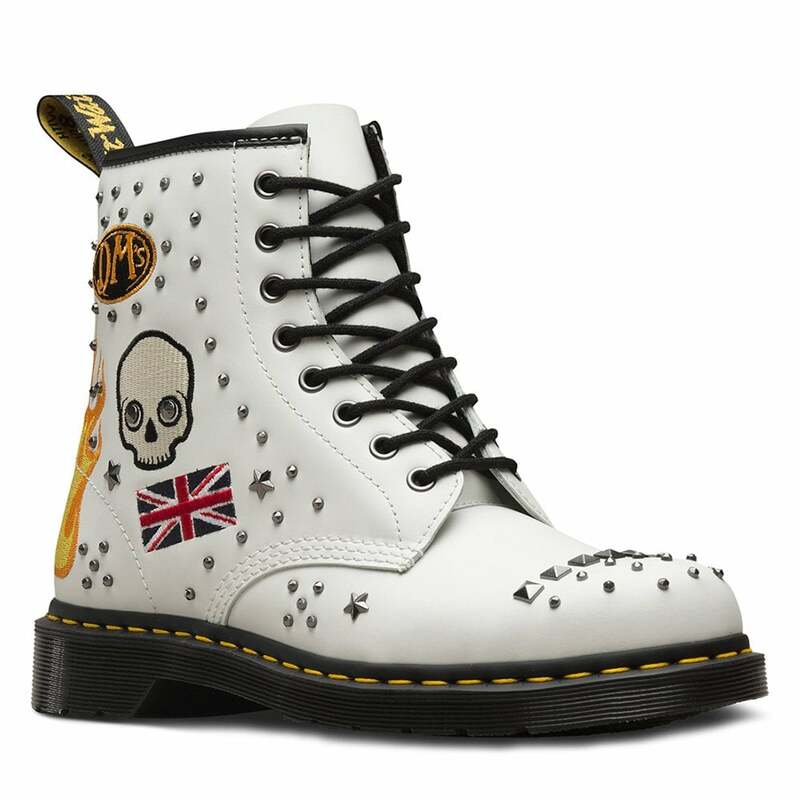 The Dr Marten 1460 are a Rock & Roll riff on the originals, these 8-eyelet boot pairs Docs DNA with classic 50s rock 'n' roll details, like pyramid and star-shaped studding and embroidered, tattoo-inspired patches. The Dr Martens 1460 is built with the iconic and comfortable air-cushioned sole. The 1460 is secured with build-to-last durable Goodyear welt. They also feature the the classic Docs DNA, like the grooved edges and the yellow welt stitching.